Labour’s proposed National Education Service would look at devolving apprenticeships and other skills funding, and not just the adult education budget, the shadow skills minister has said. 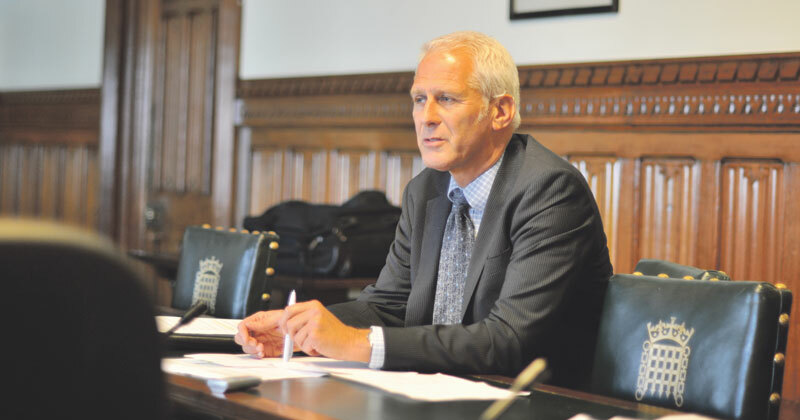 Gordon Marsden told the AAC that full devolution of FE is “the way forward in terms of community growth and cohesion”, in his keynote speech on the second day of the conference. “Tentative progress in the devolution of adult skills funding is here now – but we need a much bigger debate about the devolution of broader apprenticeship and skills funding,” he said. Speaking to FE Week after his speech, Mr Marsden said the “reality” is that if “you want a proper economic plan across an area, just looking at devolving the adult skills budget and not to consider the broader issue around apprenticeships is pretty daft in the medium to long term”. He added that devolution is also about changing “culture” so that people actually working on these issues can do so “collaboratively locally” rather than “simply being the sort of slightly hapless instruments of a Willy Wonka chocolate factory that is proceeding down Whitehall”. Labour’s planned NES, he said, would “turbocharge collaboration between employers, providers and other stakeholders – FE and HE – in the local economies and travel to work areas where they operate”. “That demands an ever-giving virtuous circle of co-operation not the traditional top down micro management of Whitehall,” he continued. This announcement just highlights how confused things have become. Unless he is proposing to abolish the current levy system that is planned to roll out to all employers, then this announcement simply shows a significant gap in his understanding. The funding will already be devolved to wherever the employer is based anyway!! Devolving apprenticeships? Brilliant! More change! Just what the sector needs. Too many local authorities are compromised and this would create insurmountable barriers to large employers. OK, you have to put local apprenticeships out to tender in Liverpool, London and Sheffield. Birmingham want you to use the local college who needs the money. There’s no combined authority in Gloucester so speak to the ESFA about that. Oh, and Nottingham have decided that they’re going to deliver it themselves. Happy with the proposal for your consistently rolled out programme Mr Tesco? What’s ‘National’ Education Service about that Gordon?